Hemp regenerating skin cream with Coenzyme Q10 for daily care of a male skin. The cream reduces redness and irritation after shaving. If used regularly, the skin becomes more flexible, stronger and fresh. 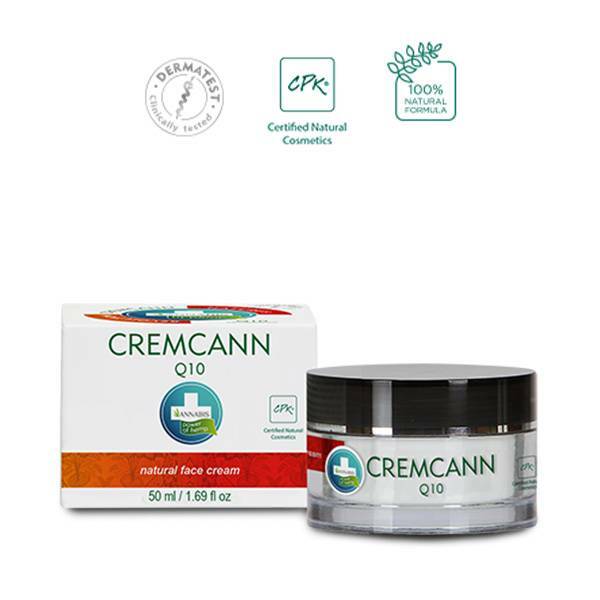 Cremcann Q10 cream for men respects the specificities of male skin. Omega 3-6 unsaturated fatty acids in combination with Coenzyme Q10 and active plant extracts nourish the skin significantly, support its natural regeneration and reduce unwanted irritation after shaving. Thanks to the Q10 is your skin flexible, tight and fresh. If used regularly, the cream acts against the formation of wrinkles and maintains man’s youthful appearance. The cream is suitable for all skin types including the sensitive one. The cream is absorbed quickly, does not stick and is suitable for application after shaving. Pleasant cream texture enables comfortable use without the feeling of greasiness. Small package is ideal while traveling. Instructions for use: Cream for the care of facial and neck skin. For best results use twice a day after washing your face. Ingredients (INCI): Aqua, Petrolatum, Cetearyl Alcohol, Cannabis Sativa Seed Extract, Cannabis Sativa Seed Oil, Paraffinum Liquidum, Simmondsia Chinensis Seed Oil, Sodium Cetyl Sulfate, Ubiquinone, Amyris Balsamifera Bark Oil, Citrus Aurantium Dulcis Oil, Lavandula Angustifolia Oil, Pelargonium Graveolens Oil, Methylchloroisothiazolinone, Methylisothiazolinone.